* subject to a dividend being declared by the Board. Non-executive Chairman, Board member since 1978, Chairman of the Board since 1980, Audit and Risk Committee member and Nomination and Remuneration Committee member.A company director with 40-plus years experience in the film, hospitality, leisure and tourism industries. Joined the Greater Union group in 1971 and was formerly the Group Managing Director. Mr Rydge is also a director of the listed company, Carlton Investments Limited (appointed 1980, chairman since 1980). In addition, Mr Rydge is chairman of Alphoeb Pty Limited and Enbeear Pty Limited. Independent non-executive director and Board member appointed since 2010.A company director with 20-plus years senior executive experience in the tourism and real estate sectors. Currently, chief executive officer of Skyrail-ITM and executive director of the Chapman group of companies. Independent non-executive director, Board member since 2009, and the lead independent director. A company director with 40-plus years senior executive experience in the mining and commodities industries. Mr Coates is currently non-executive chairman of Santos Limited, a non-executive director of Glencore plc, and non-executive chairman of Glencore majority owned Sphere Minerals Limited. Mr Coates was formerly non-executive chairman of Xstrata Australia Pty Limited and chief executive of Xstrata Coal. Independent non-executive director and Board member since 2011.A company director with 20-plus years senior executive experience within the corporate communications area. Currently, managing director and principal of One.2.One Communications Pty Limited, a consultancy firm that specialises in strategic communication and issues management. Ms Davies is a director of HBF Health Limited and a commissioner of Tourism Western Australia. Independent non-executive director and Board member since 2013. Chairman of the Audit and Risk Committee and Chairman of the Nomination and Remuneration. Mr Grant is a Chartered Accountant with 25-plus years accounting and finance related experience spanning both the accounting profession and the commercial sector. Mr Grant’s executive career included roles with Goodman Fielder Limited and Iluka Resources Limited as well as co-founding a privately held resource exploration venture in New Zealand. Mr Grant was formerly a non-executive director, and chairman of the Audit and Risk Committee, of iiNet Limited, and was also formerly a non-executive director of Consolidated Rutile Limited. Independent non-executive director, Board member since 2013, and a member of the Audit and Risk Committee and the Nomination and Remuneration Committee. A company director with over 25 years experience. Mrs Mann is a Chartered Accountant and former partner of KPMG. She has been a professional non-executive director for over 10 years. Mrs Mann has extensive audit, investigation, risk management and corporate governance experience. Mrs Mann is currently a director of Ridley Corporation Limited and Allianz Australia Limited. Managing Director and Chief Executive Officer from 1 July 2017. Ms Hastings has more than 20 years’ experience in the tourism, hospitality and entertainment sectors. Ms Hastings previously held a number of senior positions with APN News & Media Limited, including CEO of The Radio Network (2012-2014) and CEO of New Zealand Media and Entertainment (NZME) (2014-2016). Ms Hastings was appointed as the Group’s Chief Operating Officer with effect from 29 August 2016 and on 27 April 2017 the Group announced that Ms Hastings would succeed Mr DC Seargeant as the Group’s Managing Director and Chief Executive Officer. Issued to shareholders with 500 or more shares in company, the Event Shareholders Benefit Card (formerly the AHL Shareholders Benefit Card) offers a fantastic opportunity to experience the best of what our companies have to offer, all at a discounted rate. The Event Shareholders Card is easy to use, allowing access to all the special benefits of being a cardholder and there’s no limit to the number of times you can use it. 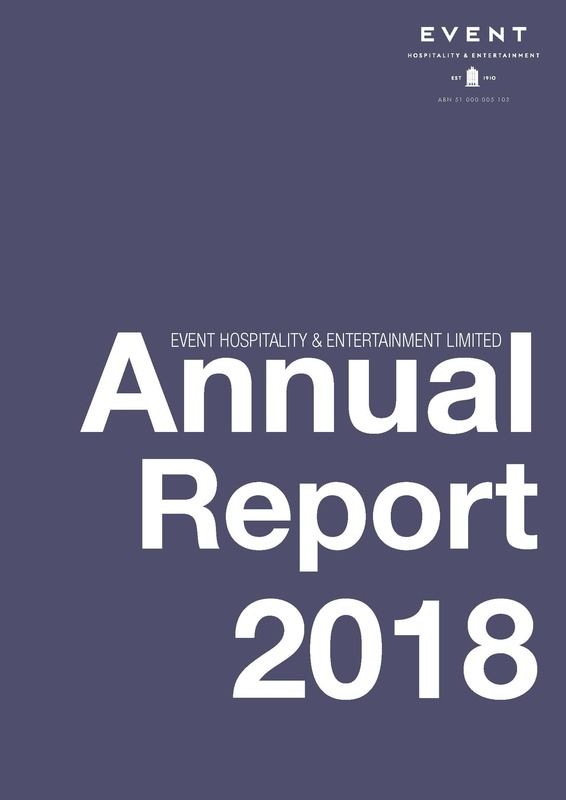 As a diversified entertainment, hospitality and leisure company, Event offers something for everybody. Whether you’re watching a movie, relaxing in a comfortable hotel or cutting up the snow – you can experience it all at a special price with your Benefits Card. All restaurants and bars within the Thredbo Alpine hotel (and associated complex) are excluded from the 20% discount on bills for food and beverage. 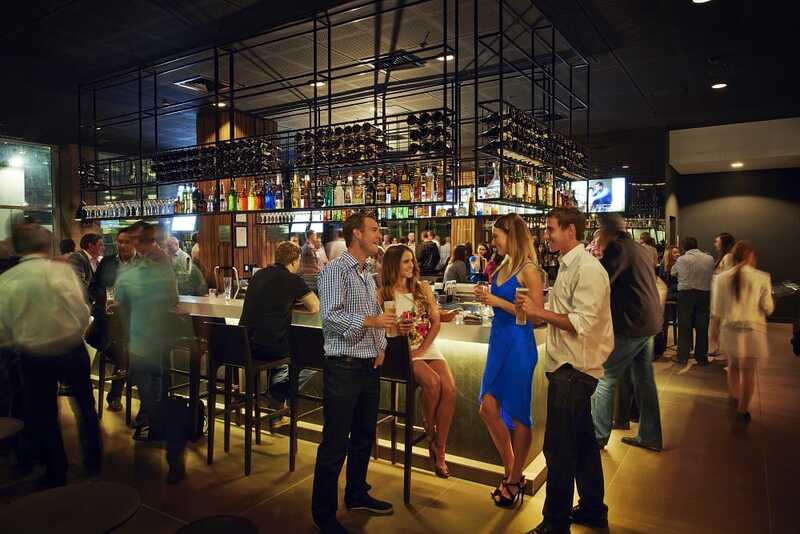 All restaurants and bars within Rydges Port Macquarie and Sails Port Macquarie by Rydges are excluded from the 20% discount on bills for food and beverage.